The gaming portal called Africasino is created specifically for South African players and targets users from Africa. The only currency it accepts is South African Rand. Read below about choice of games, promotions, bonus program, games with live dealers, accumulative jackpots and other features of the casino in our Africasino review. The Africasino website is decorated in African style. The logo shows an antelope antlers. In the background you can see landscapes with savannah and wild animals. The color scheme is sustained in orange-black tones. The menu is very intuitive. Links to the main sections allow you to quickly navigate between pages and find the information you need. The casino is operated by Equinox Dynamic, registered in Curacao, and Domiseda and Partners based in Slovakia. The addresses of the representative offices of the companies are indicated in the footer of the website. There is also a link to a website of Curacao eGaming which issued the license. Africasino online games are available from several software manufacturers for Internet gambling, including Netent. All games are run in the browser. You don’t need to download and install the casino program to your computer. The mobile version of the interface supports smartphones working on iOS and Android. It is adapted for maximum comfortable use on small screens. Africasino games work on licensed random number generators certified by an independent audit organization Gaming Laboratories International. During registration in Africasino you need to fill out a short questionnaire and provide contact information. Information on the site is provided in English, French and Afrikaans. Africasino offers online games from NetEnt, Amaya, GameArt, GS, NextGen, 1×2 Gaming, Lightning Box, Fugaso and other manufacturers. All models are divided into several main groups: Video Slots – multifunctional video slots with bonuses, prizes and special symbols. Card and Table Games – a variety of versions of blackjack, roulette, poker and other games. 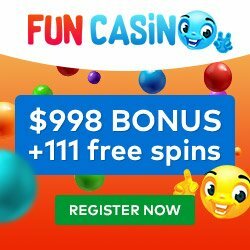 Live Casino – tables with real croupiers. Classic Slots – traditional slot games. Video Poker – several models of video poker. Scratch Cards. Micro Bet – games of popular genres with minimum stakes. VIP Games – tables and machines with large stakes. New Games. Bonus Games. Jackpot Games. Action Games. In the sections of video slots, table and card games, as well as classical slots there are subsections. They provide an opportunity to select models by brand, number of reels, genre and other criteria. Progressive jackpots of several software manufacturers are being played out. Visitors can open free demos without registering in order to understand the rules from the help reference sections attached to all games. Africasino Live runs on Extreme platform. You can play in a live casino only for real money. There is no free version for testing. There are tables for blackjack, poker, baccarat and roulette with several variations of rules and bet ranges (low limit, high limit). Pay attention to the unique games that are not in the portfolio of other providers of software for live casinos. 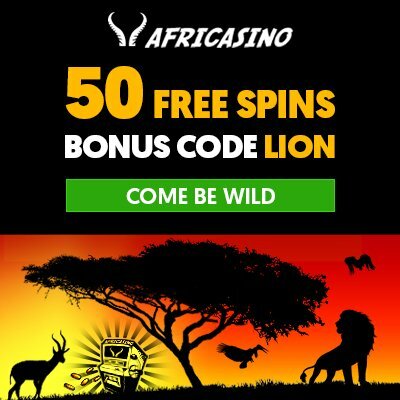 You can get 50 free spins after registering in Africasino . Code: LION. Africasino welcomes newcomers with the first deposit bonus of 300% up to R6,000. High Rollers are offered a special complimentary bonus. When making deposit through Skrill, you get extra 15% bonus. Weekly 100% bonuses are awarded on Fridays. In the multi-level loyalty program the comp points are accrued for the bets. They are exchanged for money at established rates. VIP clients are offered special terms of service with individual bonuses, personal managers and other benefits. The main currency in Africasino is the South African Rand. Deposits are also accepted in other currencies. Bank cards – Visa, Maestro, Mastercard, Neteller, Skrill, EasyEFT, EcoPayz Bitcoin and other methods (more than 20) are supported – you can find all the information in Payment Options section on Africasino website. You can contact Africasino support by online chat that works 24/7. Representatives speak several languages. Requests are also accepted by phone and e-mail. The FAQ page provides short answers to common questions from the beginners. There are also published instructions about registration, replenishment of the account and other topics. We conclude Africasino review by listing the main advantages and disadvantages of the casino. 24-hour support service with live chat.